Dr. Krauss is a great professional but his staff is awful. They have been non-transparent about the cost of treatment andvery rude when I called them to try to switch my secondary insurer to become my primary insurer which would have saved me significant money. I ended up sorting it myself after being yelled at by the staff over the phone several times. Not coming back here again. Dr. Krauss is a great professional but his staff is awful. They have been non-transparent about the cost of treatment and very rude when I called them to try to switchmy secondary insurer to become my primary insurer which would have saved me significant money. I ended up sorting it myself after being yelled at by the staff over the phone several times. Not coming back here again. Dr Krauss was fantastic-he took a lot of time to sit down with me to ask clear questions and perform hisown inspection, review previous diagnostic material I brought in, and clearly develop and communicate his proposed treatment plan which I intend to follow. Dr Krauss was fantastic-he took a lot of time to sit down with me to ask clear questions and perform his own inspection, review previous diagnostic material I brought in, andclearly develop and communicate his proposed treatment plan which I intend to follow. Dr. Kenneth Krauss is an Assistant Professor of Medicine at the NYU School of Medicine. 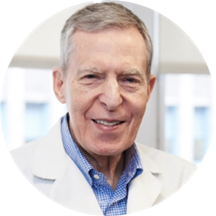 He received his MD from NYU in 1965 and pursued his postgraduate training at the Duke University Medical Center, the National Institutes of Health and at the Massachusetts General Hospital. He completed his cardiology training at MGH in 1971. After 5 years of performing cardiac catheterizations at NYU, he entered the private practice of cardiology, specializing in non-invasive diagnostic techniques and preventive cardiology. He is a frequent lecturer to physician groups on cardiology topics. His special interests include pericardial disease, cardiomyopathy and heart failure. As a faculty member, Dr. Krauss participates in training medical students, house staff and cardiology Fellows at NYU’s Tisch Hospital and at the Bellevue Hospital Center. He has been committed to patient education throughout his career. He believes that well-informed patients are better able to cope with their illnesses and to become more able partners in the process of achieving better health. Dr. Krauss has been consistently named to the New York Super Doctors® list. All good. He’s a trained professional. Dr.Krauss is excellent !! That’s all I can say! Dr. Krauss is great! Knowledgeable, kind, respectful of your privacy and needs. Dr. Krauss and his staff were excellent across the board: communicative, clear, and caring. Dr. Krauss was thorough and thoughtful in his questions and examination. He explained to me his reasoning behind my follow ups instructions, gaveme many opportunities to clarify his explanations, and took every action he could to make my appointment efficient but also thorough. I appreciated his professionalism and attention to detail and would certainly recommend him to others.